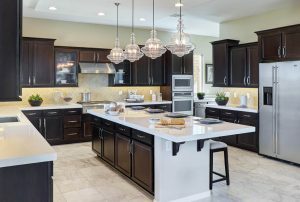 Kitchen Remodeling: Make Remodeling Your 2019 Resolution! Make Remodeling Your 2019 Resolution! Here at Kiba Studios, we can’t believe that we’re already kicking off a brand new year. The new year is the perfect time to begin working toward the goals you’ve set for yourself, your career, and other aspects of your life, and it’s also the perfect time to begin improving your home! Whether you’re looking to improve your home before you sell it later this year or you’re ready to give yourself the gift of remodeling, Kiba Studios is here to make the entire process as easy as possible. Continue reading below to learn more about how we can help you accomplish your goals this year! The holidays are now behind us, but it’s not too late to give yourself a belated gift that will keep on giving for years to come. The bathroom is where you start and end each day, and you deserve to walk into a space that brings you joy, comfort, and relaxation. Our bathroom remodeling experts can help you with updates as simple as new cabinetry, or we can help you completely reimagine your space from scratch. Whether you’d like to add a floating vanity, a beautiful new backsplash, or a luxury tub where you can soak your worries away, we’ll create a design as unique as you! Our bathroom designers are familiar with the hottest trends and appliances, so don’t wait to check your bathroom remodeling resolution off your list! At Kiba, we believe that you deserve a kitchen that inspires you each and every day. If you found yourself wishing for more space or a different kitchen design in 2018, then let our design experts help you come up with the perfect solution. We have more than 200 different kitchen cabinet options available in our showrooms, and we’ll gladly help you find doors, hardware, and accessories that provide you with the space and functionality you deserve. If you’re wanting to give yourself an additional gift, then why not consider adding granite countertops, a new backsplash, and a spectacular new sink? You can view our list of showrooms on this page, or you can begin designing the kitchen you’ve always wanted through our website. We hope that today’s post will provide you with the inspiration you need to create a space you’ll never want to leave. Keep an eye on our blog, as we’ll be updating you with information about kitchen and bath remodeling, deals and promotions, and other helpful resources in the coming weeks and months. We’ll be adding additional showrooms around the country, so check back frequently to see if a Kiba Studios is coming to a location near you! Are you ready to get started on your remodeling resolution? Stop by one of our showrooms to tell us more about your remodeling goals, or fill out the form below to request more information from our designers. We can’t wait to help you make 2019 your best year yet! Get Directions to this Location!